Elaeina is some delicious food for the brain and ears. It’s a record that’s damn near impossible to label. That makes sense in the context of Floating Points’ creator, Sam Shepherd. Shepherd had already gained his PhD in neuroscience when Floating Points started generating buzz. Looks like he wanted to tap at neurons in a different fashion this time around. 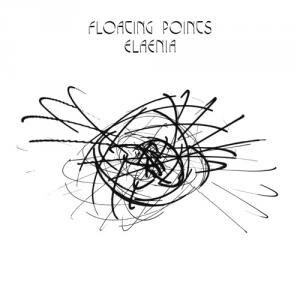 Certainly Elaeina is some delicious food for the brain and ears. It’s a record that’s damn near impossible to label. Are there strands of straight up dance music? Well of course, but DNA samples of chamber, jazz, ambient, and anything else Shepherd wanted to poke at end up on Elaeina in a dizzying, yet cohesive fashion. That’s clear from opener “Nespole”. From Shepherd’s more DJ-centric days, it was obvious he had a mastery of layering, and “Nespole” proudly carries the tradition with a strange, clicking beat that’s made up of sheets and sheets of sound. Anyone of these could separately be a song unto itself, but Shepherd coalesces them into something brilliant that could find its way onto the dancefloor thanks to the constant, thumping rhythm, but could just as easily be used for a meditation session. This sensibility carries over through out the album. “Argente” is less an experiment in layering than it is in building, but the same core principle applies. Shepherd presents something familiar and slowly starts to warp and grow it until it has shed all vestal applications and become its purest, best self. This is at its best on “Argente” as the slowly building synths eventually melt into a mesmerizing cascade. Shepherd does allow for some fun, dancey moments on the later half of the album. The closing three songs, “Thin Air”, “For Mamish”, and “Peroration Six” all rely on rhythm more than their predecessors. “Thin Air” is the funniest of the bunch, bursting out of a stuttering high-hat into a burbling keyboard line. “For Mamish” is the slowest, but the most elegant of the bunch and closer “Peroration Six” falls into some dark waters, hinting at unsettling visions just beneath the crystalline surface Shepherd presents, nearly mimicking some of the eerier moments of Amnesiac-era Radiohead. The album is not without its flaws, mostly coming from the disappointing length and one filler track. The record only lasts seven songs, and with the flood of ideas that Shepherd clearly brings to the table, it’s a damn shame we don’t have more time in his world. What else does he have hiding up his sleeve that’s as cute and charming as “Nespole” or as frightening as “Peroration Six”? There’s also the title track, where Shepherd finally misses the happy medium between slow build and pay off. It’s the most ambient of all these tracks, never rising beyond a coo. Though that might be understandable thanks to the preceding track “Silhouettes (I, II, III)”, which lands very cleanly into the running for song of the year. It’s a nearly 11-minute long monster of a suite, showcasing everything that Shepherd and some of his cohorts get right on Elaeina. After some shocking, prog-like organ stabs, chiming keys bounce over a nimble drum line that ebbs and flows at just the right times, leading the song to its climaxes. The first just comes from a rising, gorgeous, keyboard line, but the second is even better. The keyboard, rough in texture, rises again, but it’s met with a soaring string section that is spectacular. It’s romantic in the sense of just how sweeping it is in ambition and general scope. Few songs (and few artists) have the dedication to create something like this, but Shepherd has with beautiful flair. Surely with his studies on the human mind, Shepherd knows that Elaeina will start a budding addiction. Surely this is only the first proper taste from something captivating. What else will evolve?